It’s an interesting problem from a products-safety-law point of view. 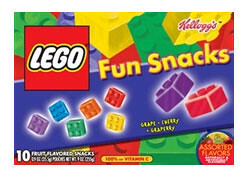 The Lego Fun Snacks are harmless in themselves. They just make Legos dangerous.